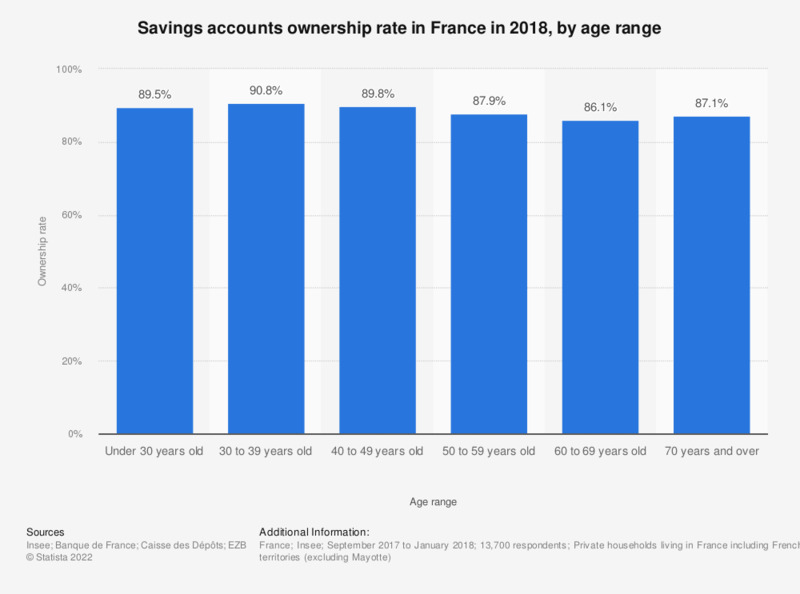 The statistic represents the savings accounts ownership rate in 2015, by age range. Among the reference persons under 30 years old, 89.8 percent of households owned savings accounts. There were 82.5 percent of respondents over 70 years old who owned savings accounts during the same period. The source adds the following information: "The reference person is the oldest resource provider or the oldest person in the household."